Open adoption provides a healthy opportunity for a child to grow up being loved by two sets of parents. Yet it's not always easy to navigate the unfamiliar and challenging emotions that will arise in developing an open adoption relationship. Building a relationship with your child's birth mother will take time, just as any other committed relationship will. The key to a healthy open adoption is to respect each person's distinct role in the child's life. You will always be your child's only mom and dad. And your child's birth mother will always be the special woman who gave him life and who shares a part of his personality, heritage, and physical traits. Each role is unique and invaluable to the open adoption experience. As parents, you'll have infinite time to bond with your baby. You'll sit quietly at night with her wrapped in your arms, as you rock her to sleep. You'll be her comfort when she cries, and the reason she will know that she's safe, loved, and part of a family. With this understanding, there is so much more you can comfortably share with your child's birth mother. As you develop your relationship, you should give your child's birth mother opportunities to see that her child is healthy and happy. In doing so, you honor the plan she made for her child, and allow her to see that it is working well. 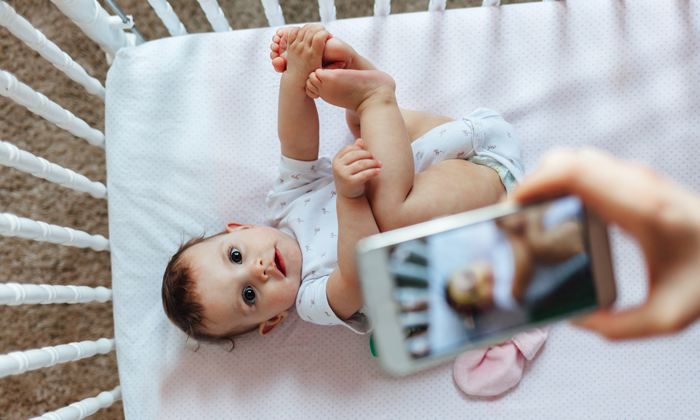 Through phone calls, letters, or videos, you may include the birth mother in exciting milestones, such as the baby's first words, first steps, or the first time he sleeps through the night. Tell her about his favorite book, favorite stuffed animal, and funny habits, and send clear, close-up pictures of your baby smiling. Sharing such things can help your child's birth mother heal, move forward, and fulfill the commitment she made to her child to stay in his life through open adoption. The appropriate level of contact will vary with each and every situation. Try to communicate and understand each other's expectations and to establish a plan for contact as early in the relationship as possible. As time goes on, though, it is natural for the amount and type of contact to change. The best results come from allowing your relationship to develop and grow naturally. Here are some great ways to share information with your child's birth mother. Choose the ones that feel right for your level of contact. Give her a small photo album of your child. Include shots of everyday routines, not just special occasions. Share a list of the words your child can say, or tell her about his favorite foods. If your child no longer plays with a favorite toy or stuffed animal, consider giving it to her birth mother as a keepsake. Share your upcoming vacation plans and adventures. As your child begins to doodle with crayons, give one of his masterpieces to his birth mother. Share the results of her latest healthy wellness checkup. Mail a postcard "from" your child, telling her birth mother about her day. Share the dates your child reached major developmental milestones over the first two years. When my son was six years old, his birth mother ..
We've been selected by a birth mom who is due .. In this open adoption video, teen and young adult adoptees ..